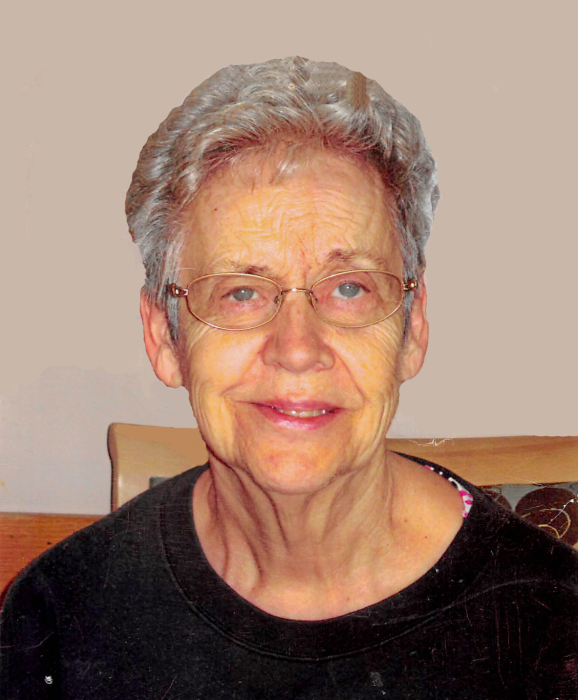 Marva Carr, age 73, of Milbank, SD, died on April 15, 2019, at St. William’s Care Center in Milbank after years of struggling with Alzheimer’s and eventually succumbing to colorectal cancer. Marva is the widow of Kenneth Carr. Funeral services will be held on Thursday, April 18, at 11:00 a.m. at Mundwiler Funeral Home in Milbank with Fr. Gary DeRouchey officiating. Visitation will be held on Wednesday, April 17, from 5:00 – 7:00 p.m. at the Milbank Community Center, and will continue one hour prior to the service at the funeral home. Burial will be at St. Lawrence Catholic Cemetery. Marva Jean (Schultz) Carr was born on April 29, 1945, in Ortonville, MN. She was the daughter of Martin and Jesse (Fosher) Schultz and the oldest of six children. Marva grew up in the Ortonville area, attending school through her junior year in Ortonville. She completed her high school education at Milbank High School, graduating in 1963. She was a member of Bethel Lutheran Church in her youth. Throughout her childhood, Marva worked on the family dairy farm. She was a tomboy at heart and was not afraid to work outside with the animals. She loved climbing trees and enjoyed working with her dad. She had a favorite cow named Brownie that she trained to ride because she was not able to have a horse. Marva met her husband, Kenneth, while she was waitressing at a local restaurant. She was baptized into the Catholic Church on May 9, 1964, and on June 6, 1964, Ken and Marva were united in marriage at St. Lawrence Catholic Church in Milbank. They were blessed with 50 years of marriage and three children: Barbara, Michael, and Mark. After their marriage, Marva moved onto the Carr family farm with Ken and his mother. She farmed with Ken for over 30 years. She was an amazing gardener with a ‘green thumb’. She tended a large garden, selling her delicious produce in the local community. Her “Carr tomatoes” were well known. She would start her tomatoes from seed in the house in January and would transplant her starts as soon as the ground was ready. After Ken and Marva sold the farm, Marva expanded her talents in order to help support the family financially. She enrolled in online classes and taught herself how to do interior design. She learned how to build furniture from trees that she and Ken cut down. Together they formed Carr Enterprises, where Marva would sew upholstery, drapery, and other custom interior design work. Ken would repair vacuums. She was very detailed and talented at sewing and repaired items for people in the community. In addition to her own businesses, she also worked for a machine company in Corona, a sewing company east of Milbank, Telnet, Seehafer Hardware, and St. William’s Care Center. She was an artistic, creative, resourceful, and hardworking woman. Marva was a wonderful mother and grandmother. She taught her children farm business skills, a strong work ethic, the value of a dollar, and how to be a loving parent and spouse. She was a phenomenal cook! Her grandson, Noah, would say, “she was the best cooker, ever!”. It was a fact that she made the best homemade bread, donuts, and pies. When she wasn’t working, Marva loved to play games such as Cribbage, Rook, Whist, board games, and especially, Rummy. She would spend hours playing games with her children and grandchildren. Marva had a servant’s heart; she would put everyone else’s needs in front of her own. She was a friendly neighbor and was always quick to bring a meal to someone in need. Marva is survived by her three children: Barbara (Kevin) Vander Wyst of Mabank, TX; Michael Carr of Minneapolis, MN; and Mark (Billie) Carr of Savage, MN; five grandchildren: Jacob and Noah Vander Wyst of Mabank, TX; Sydney and Samantha Carr of Savage, MN; and Everett Carr of Minneapolis, MN; five siblings: Michael Schultz of Brainerd, MN; Barbara Swenson of Brainerd MN; Donna (Dennis) Lindholm of Graceville MN; Linda Schmidt of Brainerd, MN; and Steven Schultz of Watertown, SD. She was preceded in death by her parents: Martin and Jesse; and husband, Kenneth Carr.